Q: What are your concerns with the federal Electronic Health Records program? A: As a taxpayer watchdog, I pursue waste, fraud and abuse wherever and whenever I get a whiff of wrongdoing or mismanagement. Congress holds the power of the purse strings. It is our constitutional responsibility to ensure taxpayer dollars are spent as intended. Too often, I have discovered a cavalier attitude about money when the U.S. Treasury is paying the bills. A decade ago, Congress adopted a major effort to modernize the nation’s health care delivery system by beefing up health information technology. The HITECH Act of 2009 included an Electronic Healthcare Records (EHR) program that provided financial incentives for Medicare providers to adopt and use electronic health care records. It was designed to improve the delivery of quality, coordinated care, drive down health care costs and improve billing and fraud detection. Congress approved financial incentives to help providers integrate electronic health care records that would improve patient safety, convenience and high-quality outcomes. 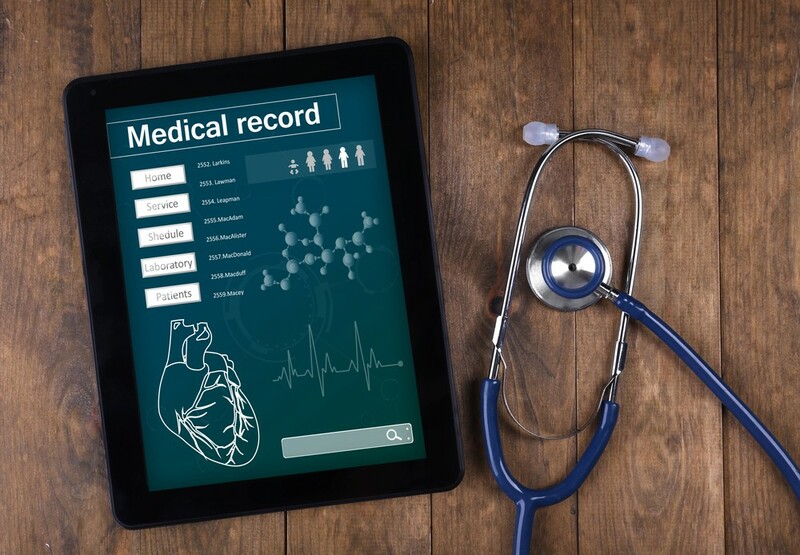 Electronic health care records essentially replace the paper trail of patient charts and allow health care providers to create real-time, patient-centered records. An EHR follows the patient, allowing providers to instantly check a patient’s medical history, medications, immunization dates, radiology images and lab results. With tens of billions of federal tax dollars in the pipeline, I have exercised rigorous oversight to ensure the federal EHR incentives program squares with congressional intent: to improve public health, secure patient privacy, improve patient access to health information and make gains in quality, safety and efficiency through effective use of taxpayer dollars. No matter where tax dollars flow, I’ve learned the federal treasury gets milked like a cash cow. That’s why I stay vigilant. My oversight work has revealed the EHR incentives program has been bilked by an estimated $729.4 million, according to the Office of Inspector General at the Department of Health and Human Services (HHS). The federal agency that oversees Medicare and Medicaid says it has recovered about $2.5 million in improper EHR payments. From my point of view, every penny pinched, is a penny saved. But recovering only three-tenths of one percent of nearly $1 billion tax dollars? That’s what I call a spit in the ocean. CMS needs a sea change to right the fiscal ship. Q: What else can be done to lower health care costs and rinse wrongdoing from the Electronic Health Records program? A: Health care costs rank high among the concerns of voters. At nearly every single one of my county meetings across the state, Iowans talk about financial hardship paying out-of-pocket health care expenses, rising cost of prescription medicine and monthly health insurance premiums. According to CMS, U.S. health care spending rose 3.9 percent in 2017, reaching $3.5 trillion. That’s nearly 18 percent of GDP, or $10,739 per person. Policymakers need to look at the big picture and identify solutions to lower the overall cost of delivering health care. In turn, that will lower what consumers pay out of pocket. In January, I took the reins of the Senate Finance Committee which has legislative and oversight jurisdiction over Medicare and Medicaid. I have launched a series of congressional hearings to examine the pharmaceutical supply chain to get answers to soaring prices for prescription drugs in America. Transparency brings accountability and will allow the free market to increase competition and lower drug prices. In the meantime, I’ll continue conducting oversight to root out waste, fraud and abuse in federal health programs. That includes riding herd on CMS, the federal agency implementing the EHR program and reimbursing medical providers. Misspending nearly a billion EHR dollars tells me its oversight efforts are not sufficient. It must do a better job auditing and recovering tax dollars when hardworking Americans are footing the tab for medical providers to upgrade EHR in their offices. Whenever tax dollars are fueling the engine, I am conducting congressional oversight to put the brakes on fraud, waste and abuse. Nothing gets me fuming more than wrongdoers who hitch their wagon to Uncle Sam’s gravy train. That’s why I pay such close attention to the money trail. As the author of the whistleblower amendments to the False Claims Act, I work to derail efforts that would weaken this key fraud-fighting tool and curb protections for those who report wrongdoing. In fiscal year 2018, the Department of Justice recovered $2.5 billion in health care fraud, including EHR incentive payments to Medicare and Medicaid providers. It’s the ninth consecutive year civil health care fraud has exceeded $2 billion.